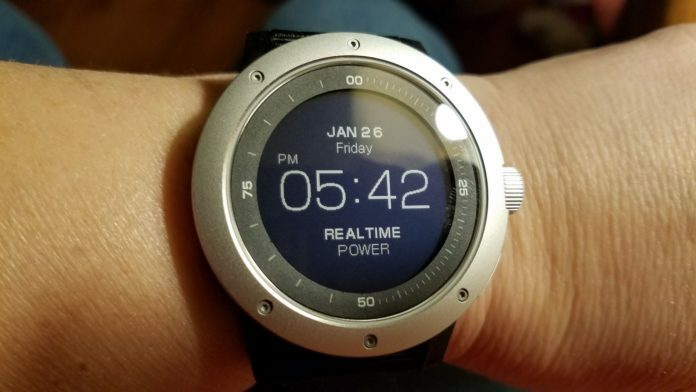 I know I’ve been talking about reviewing the Matrix Powerwatch for quite a while but Matrix Industries keeps rolling out new firmware updates, presumably before the watch is released to U.S. markets. You can currently purchase the watch through the Matrix website or if you’re in Japan, it is available through Japan’s Amazon marketplace. The last feature I’m waiting for before I review it is the ability to select different watch faces. Every other feature that was promised has been released. 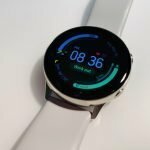 A few days ago automatic sleep tracking was released and it works well. Before, you had to push a button telling the watch when you were going to sleep and then it automatically knew when you woke up. Now it can detect when you fall asleep and, like I said, it’s pretty accurate. Since this is a watch that uses body heat to recharge its battery and calculate calorie burn, I’ll be focusing on calorie burn accuracy quite a bit because that’s the feature that attracted me to the Powerwatch, although never having to charge it is super convenient too. 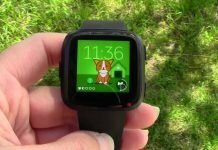 That last firmware update with the watch faces is supposed to be coming any time now, so when it is I’ll be releasing my review. Until then, I’ll be reviewing the LETSCOM Fitness Tracker. (View on Amazon) This is a watch that consistently pops up very high in Amazon’s search results for fitness trackers. It’s a Fitbit Alta HR look-a-like and has tons of good reviews but I’ll be putting it through my tests which are tough! 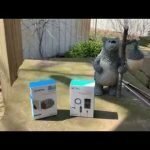 I might pick up a Fitbit Alta HR and compare the two if I can find a good cheap used one. I think that would be very helpful and interesting. 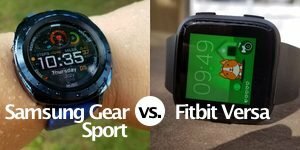 But I will for sure be comparing the specs between the two for those looking for a more affordable alternative to a Fitbit. 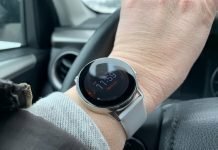 The CAMTOA Z17 Fitness Tracker is another watch I’ll be reviewing. 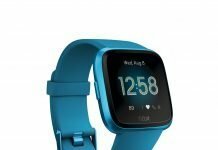 (View on Amazon) I got it last week but I was busy finishing up my review of the Fitbit Versa. It’s a simple fitness tracker but one thing is for sure, the step tracking has been very good on it in my limited tests. 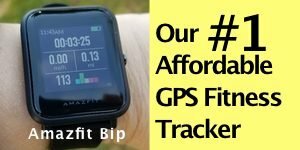 Usually I’m a bit disappointed in the step tracking of budget fitness trackers but this one is good. It also has automatic screen brightness which most cheaper fitness trackers don’t have. While it’s not super bright outside in the sunlight, I can still read the screen. 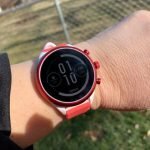 The Z17 isn’t a multisport watch but it’s good for those just wanting to track their steps and their resting heart rate. 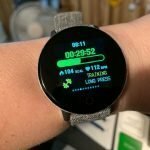 It does support running and walking with connected GPS too and has sleep tracking. I still need to test those features more. The review of this watch should be up soon and the LETSCOM next week. 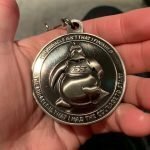 When the reviews are ready, I will update this post.